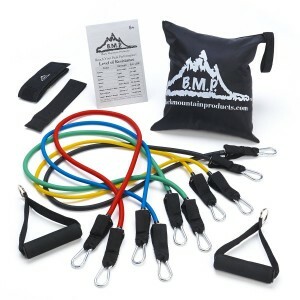 Best Resistance Bands (bestresistancebands.net), is primarily a comparison site with specs and reviews of resistance bands from the top three manufacturers. The home page features products from Bodylastics, Black Mountain Products, and Tribe. Quality of these bands ranges from adequate (but affordable) to excellent. The goal is to direct you to the best options. Cheap knockoffs need not apply. No free products are provided from the makers of these resistance bands to potentially create bias. This site always shoots for clear, objective analysis with a dash of personal opinion. It’s all about assisting you in deciding which set is best for you, rather than what is touted as “the best” in general. There’s a focus on sets with the most popular configurations. However the blog also has reviews of more extensive sets. This includes specialty products for enthusiasts such as those interested in MMA, bodybuilders, professional athletes, boxers, army, navy, etc. In the blog section, there are exercises and tips that will help to keep you fit. Additionally you’ll find write-ups about resistance bands as they relate to specific workout programs such as P90X, FOCUS T25, yoga, and pilates. If you have any questions or suggestions don’t hesitate to send a note via the contact page. When you make purchases through links on bestresistancebands.net, we may earn an affiliate commission.